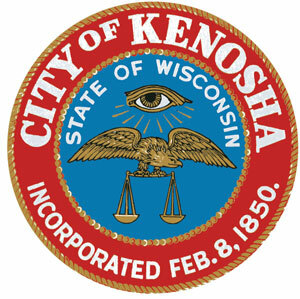 The city of Kenosha Department of City Development is accepting proposals from eligible not-for-profit organizations, which will assist the city in the development of the 20112 Community Development Block Grant Program. The city expects to receive $966,167 from the US Department of Housing and Urban Development for allocation to eligible projects under the 2012 CDBG program. Housing and Neighborhood Improvement/Economic Development — Maintain and improve the city’s housing stock and public facilities and improvements; continuation and expansion of activities that create or retain jobs, add to the city’s real estate tax base and contribute to the growth and development of the city’s economy. Public service — Initiation and improvement of services involved with but not limited to employment, crime prevention, child care, health, drug abuse, education, energy conservation, welfare or recreational services. Planning and Management — Implementation of the CDBG program and comprehensive planning. Each funded activity must meet one or more of the broad national objectives of the CDBG program — benefit low and moderate income persons and/or aid in the prevention or elimination of slums or blight within specified areas. Acquisition, clearance or disposition of public purposes. Relocation payments for displaced families or businesses. Acquisition, construction or rehabilitation of public facilities and improvements. Removal or architectural barrier for mobility or the elderly or disabled. Rehabilitation of public or privately owned housing or other buildings. Planning and administration of community development projects. Activities must be carried out by city departments or public or private non-profit agencies, authorities or organizations. Proposals will be accepted until 10 a.m. on Friday Aug. 11. Application forms are available at the Department of City Development Office, 625 52nd St., Room 308, the city website or by calling 653-4030.